VEGAS Pro is a professional software suite for non-linear editing (NLE) by Magix Software GmbH (Sony), that combines real-time SD, HD, 2K and 4K video editing with unrivaled audio tools to provide you the ultimate all-in-one environment whether you're a digital native, professional film producer or successful independent artist. Video/Audio production and DVD/Blu-ray disc authoring all in one powerful package. The program by Sony is packed with the latest video and audio editing technologies, putting professional standards within easy reach. It features intelligent workflows and industry-leading editing tools such as workflow-optimized plug-ins for image stabilization, design dynamic titles and create custom DVDs and Blu-ray Discs. HEVC and native ProRes capabilities support modern workflows and Smart video plug-ins easily prepare HD footage for use in 4K projects. Salvage unusable footage with image stabilization and add professional titles to create professional results. Author and burn DVDs and Bluray discs with full menus and actions as well as fine control over all encoding settings. VEGAS products are the first choice when it comes to efficient video and audio editing. Sony VEGAS versions are suitable for both amateur and experienced film makers and any user can benefit from the innovative tools and efficient workflows in the software. 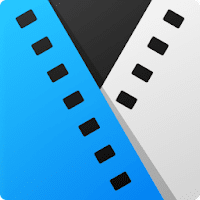 Supported Import formats: AAC, AA3, AVI, BMP, MPEG-1, MPEG-2, MPEG-4, WMV, HEVC, ProRes, AAC, AIFF, FLAC, LPEC, MP3, OGG, PCA, W64, WAV, WMA, BMP, JPEG, PNG, TIFF, WDP, WMPhoto, DDS, DPX, EX, AAF, Premiere/After Effects (*.prproj), Final Cut Pro 7/ DaVinci Resolve (*.xml), Final Cut Pro X (*.fcpxml), EDL Text File (*.txt), Broadcast Wave Format, DVD Camcorder Disc, Closed Captioning. Supported Export formats: AAC, AA3, AVI, BMP, MPEG-1, MPEG-2, MPEG-4, WMV, HEVC, ProRes, AAC, AIFF, FLAC, LPEC, MP3, OGG, PCA, W64, WAV, WMA, BMP, JPEG, PNG, TIFF, WDP, WMPhoto, DDS, DPX, EXR, VEGAS Project Archive (*.veg), Pro Tools AAF File (*.aaf), Media Composer AAF File (*.aaf), Premiere/After Effects (*.prproj), Final Cut Pro 7/DaVinci Resolve (*.xml), Final Cut Pro X (*.fcpxml), EDL Text File (*.txt), XDCAM Disc. VEGAS Pro 16 is available in three editions: VEGAS Pro Edit, VEGAS Pro and VEGAS Pro Suite (Compare editions). Grab special VEGAS Pro discount valid at MAGIX store! Disclaimer: Direct downloads for the lastest version of Sony VEGAS Pro 16.0.361 are provided by the official software's author, we can't guarantee safety, availability or download speed. Moreover, we don't and we won't provide any pirated/illegal versions or tools. We recommend you to avoid it as these methods can harm your device. If you like the software, buy it to support the developers. (We provide software discounts for many worldwide brands).